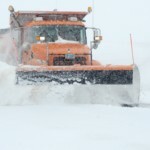 FARGO, ND — The North Dakota Department of Transportation has reopened sections of the interstates and highways that were previously closed due to blizzard conditions. Several area highways re-opened Friday morning in the wake of Thursday’s blizzard. The “no travel advisory” has been lifted for northwestern Minnesota. I-94 between Fergus Falls and Fargo, Highway 10 from Lake Park to Dilworth and Highway 210 between Fergus Falls and Breckenridge have been re-opened. Fargo-Moorhead area snow emergency routes are in generally good shape this morning. Crews have been out clearing streets most of the night.